File (or have your attorney file) a Motion for Voluntary Dismissal with the court clerk. A voluntary dismissal means that you are asking the court to close the case and restore your debts to their status before the bankruptcy petition. The court will lift the automatic stay created by the original petition and suspend all actions by the court-appointed trustee handling your bankruptcy estate. As a result, your creditors may again pursue collection of your debts. Section 707 of the Bankruptcy Code lists proper grounds for dismissal. Have the motion served on the creditors listed with your initial bankruptcy petition. In most cases, your attorney will send the motion by certified mail to the creditors or their representatives. According to Rule 9014 of the Federal Rules of Bankruptcy Procedure, the court provides for a hearing on all such motions, at which a party to the case may state objections to the dismissal. Attend the scheduled hearing with your attorney. The judge will ask the reason for your request for a voluntary dismissal of the case. In most cases, a debtor's financial situation has improved to the point where a bankruptcy is no longer necessary. Other dismissals are combined with a request for change of venue (if you move to another state). Your creditors have a chance to appear at the hearing, although their attendance is not required. The court may refuse to dismiss the case if it finds that the grounds are improper, that you are abusing the system, or that you are trying to evade obligations to your creditors. Chapter 13 bankruptcy gives you protection from creditors while you meet the terms of a court-approved repayment plan. It's ideal for those who are unable to meet their debts, but have enough income to pay down their bills gradually. If you successfully complete a Chapter 13 repayment plan, you will earn a discharge of any eligible debts that remain once the repayment plan is complete. The initial step in this process is to file the petition for bankruptcy as well as a list of all your creditors. What Happens to Open Lines of Credit With No Balance During Bankruptcy? 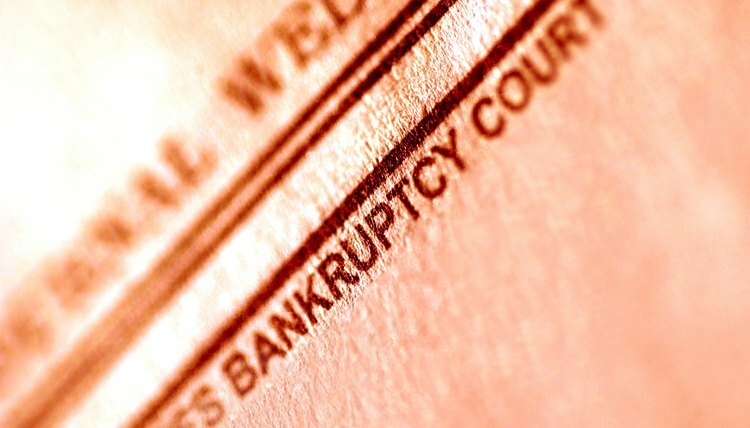 A debtor files bankruptcy to discharge his obligations and relieve himself of responsibility for paying them. If you have an open line of credit or a credit card with a zero balance, this isn't a debt. You don't owe anything, so you're not under any legal duty to include it in your bankruptcy petition. However, whether it will be there waiting for you when you come out on the other side of the proceedings is another matter.